Please note, may take up to 36 hrs when placing your order. Please let us know what date suits you to collect/or delivery in the notes section when placing your order. No 5. The Glow: Apple, Broccoli, Carrot, Beetroot, Avocado. Our brand new Urban Cleanse is flying out the door. With a full spectrum of 21 different ingredients of fresh fruit, vegetables and super foods, it’s everything your body needs to kick start your diet reboot and recharge your energy levels. No 3. Green Envy: Avocado, Apple, Celery, Cucumber, Spinach, Lime. Increased quality and feel of your hair, skin, & nails. Yes of course, this is not a juice Fast. Everybody is different so listen to your body. If you are still hungry after 5 juices are consumed, then it’s perfectly fine to have some soup, baked fish, tuna, fruit, nuts. 2.) What other liquids am I allowed to have? As much as possible. Coconut water, decaf herbal tea’s, Aloe Vera juice and ideally 2 liters of filtered water. This is really vital to ensure a smooth transition on your cleanse. No alcohol 7 days before you start, and no processed food 3 days before you start. Keep your training routine up as much as possible, but again use your common sense and listen to your body and your energy levels. Again when you finish the cleanse, your stomach will have shrunk naturally, so try stay away from processed food, starchy carbs (bread, biscuits, chips) and try to consume soups, salads, bananas, eggs into your diet routine for the following 5 days. N.B. 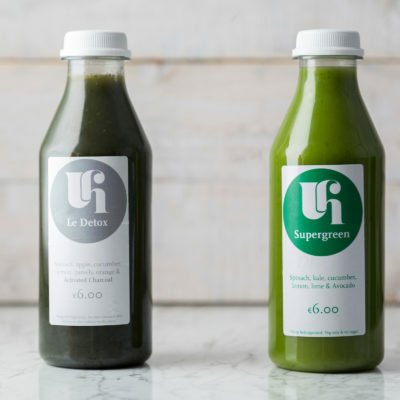 All juices must be consumed within a 3 day period, for maximum nutritional benefits, as all ingredients are unpasteurised and preservative free. If ordering a 5 day plan, please be aware we only give 3 days worth at a time, so you must return for your final 2 days worth. 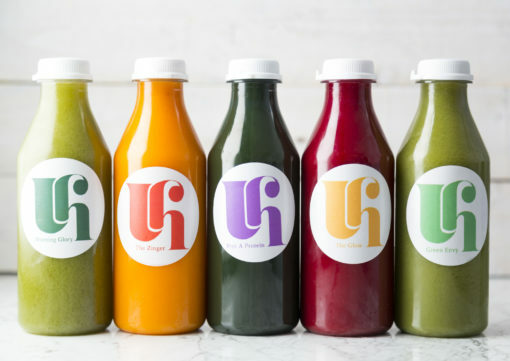 All Juices must be refrigerated at -5 degrees. In the notes section of the checkout page, please let us know what date you plan to collect, or if you choose the delivery option, when you would like them delivered. Also, please make us aware of any allergies in the notes section too. Any questions, please call Dee on 0879153033. Thank you.